Historic preservationists face the facts at places with painful pasts in Richmond, Virginia; eastern California; and Washington County, Utah. The roar is constant, a pounding surf. Cars by the tens of thousands rush through Richmond, Virginia, on Interstate Highway 95, bringing travelers north to Washington, D.C., New York, and New England, and south to North Carolina, Georgia, and Disney World. The passengers daydream of their destinations, not of what they are passing through, and over. Below the highway embankment, Ana Edwards stands with me on a long, grassy field. The land was most recently a parking lot for the nearby Virginia Commonwealth University (VCU) hospital. But underneath the grass and soil of two centuries is a place almost everyone seems to have forgotten until recently: a burial ground for enslaved Africans who died in prison or while awaiting sale. This place is part of the Shockoe Bottom district, once the country’s second-largest domestic marketplace (after New Orleans) for buying and selling enslaved people. The amnesia about Shockoe’s past was almost complete when an organized group of Civil Rights activists decided to reclaim the place and its history. “We have the right to know,” says Edwards, chair of that group, the Sacred Ground Historical Reclamation Project. 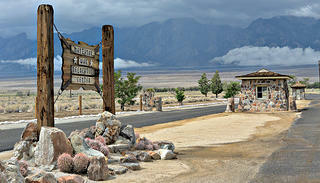 A 1943 sentry post at the entrance to Manzanar National Historic Site. The pressure of the wind is relentless, as air channeled between the Sierra Nevada and Inyo mountain ranges flows down through the Owens Valley in eastern California. You feel it as you try to walk and are buffeted like tumbleweed. You feel it in the dust whipped up into your eyes and hair. That’s what the oral histories and the novels tell us, as well, in memories shared about Manzanar. Here, more than 10,000 Japanese-Americans were held, imprisoned, concentrated, interned—the choice of verb remains a struggle—behind barbed wire beginning just months after Pearl Harbor and continuing through the end of World War II. Jeff Burton, an archaeologist at Manzanar National Historic Site, walks me through dusty former roads, many overgrown with desert flowers, to reveal what he and his staff and volunteers have uncovered over the past two decades: Japanese gardens built by the men and women forced to make a home here, amid the lines of barracks, mess halls, and firebreaks. A soft breeze and the sound of chirping birds follow me to a hilltop called Mountain Meadows off state Route 18 in southern Utah. There is little to see here now, as the blood and bones of 120 murdered men, women, and children, mostly emigrants from Arkansas, have been absorbed into graves—some marked, some not—across this valley. In early September 1857, after several days’ standoff, the emigrants were killed by a still-undetermined combination of Mormon militiamen and Paiute American Indians, both possibly directed by local Mormon leaders. At the top of the hill is a memorial naming all the victims and the 17 surviving children in stone. Viewing stations allow visitors to survey a landscape of memorials built by a group of entities including the Mormon Church, which has finally come to terms with its role in this, one of the worst massacres of its kind. Three scenes from three very different historic places in America: a set of memorials on a rural mountain site; a national park complex in a desert valley; a paved-over, all-but-forgotten site in the middle of a city. All three places also have so much in common. Each one is a product of grassroots action, starting with preservationists who might not have called themselves preservationists, all demanding action by institutions (the Church of Jesus Christ of Latter-day Saints, the federal government, the city of Richmond) to mark a site and try to acknowledge a wrong. All three sites have come alive for the general public only in the past two decades. Until 1990, you would have found a lone memorial at Mountain Meadows, and no acknowledgment by the Mormon Church. Only two years later did the federal government establish a -National Historic Site at Manzanar; a full exhibition did not open until 2004. Until four years ago, when small markers were installed, you would have found virtually nothing at all at the site of the slave-trading market in Shockoe Bottom. Lumpkin’s Slave Jail, the only part of the slave market complex that has been excavated, could be overwhelmed by a proposed Minor League Baseball stadium project and mixed-use development. These three sites represent a new commitment to one of the most important developments in the historic preservation movement in the last three decades: uncovering places of pain and shame in American history. Focusing on places of friction in the American landscape is giving preservation more relevance to a new generation. A growing number of organizations want to preserve and interpret the difficult layers of their sites. The public typically views historic preservation—unfairly, perhaps—as an endeavor to save or maintain places associated with positive histories and moments. Since 1966, when the National Historic Preservation Act was passed, the everyday work of our local historical commissions centrally has been about saving beautiful buildings, marking the homes of heroes, and curating sites of valor. But over the past several decades, we have experienced a quiet revolution. Places where violence and discrimination ruled have been marked, listed, interpreted. And existing historic sites that long tried to erase parts of the past have reimagined them with new stories. I think of childhood visits to Monticello and Magnolia Plantation and Gardens, where no one ever uttered the word “slavery.” Now the Hemingses stand alongside the Jeffersons in the story of Monticello, and the cabins once inhabited by enslaved workers are being rebuilt and becoming a part of the standard tour at Magnolia. The National Park Service has undertaken theme studies that touch on the violent battles between capital and labor, against Latinos and Japanese immigrants. The cemetery near my house in Amherst, Massachusetts, long known only as the final resting place of Emily Dickinson, is also the burial site of several local African-American soldiers from the Civil War. The local community has held numerous memorial events honoring these veterans and memorialized them in a nearby mural. From the National Register and the National Trust down to the bipartisan Tulsa Race Riot Commission, which worked during the late 1990s to remember and repair the destruction caused by the 1921 Tulsa race riot, leaders nationwide are working to make the hidden visible. The 1999 founding of the International Coalition of Sites of Conscience epitomizes this movement. Starting with nine institutions, the coalition has grown to more than 200 places around the world. Both Manzanar and the Sacred Ground Historical Reclamation Project in Richmond are members, as are diverse places and institutions such as the Lower East Side Tenement Museum; the Women’s Rights National Historical Park in Seneca Falls, New York; the Iroquois Indian Museum in Howes Cave, New York; Hawaii’s King Kamehameha V Judiciary History Center; Lowell National Historical Park in Massachusetts; and Eastern State Penitentiary in Philadelphia. Liz Ševčenko, the coalition’s founding director (and now director of the Humanities Action Lab at The New School), says that the coalition uses places to foster dialogue about the past and present, with an eye toward contemporary struggles. Preservation and allied organizations have borrowed the term “sites of conscience” but also adopted a more generic description: “difficult places.” This description might be overly simplistic. “A site of conscience is not just where something bad happened,” Ševčenko says. The difference is in how the stewards of the site use it to promote ongoing discussion. A building or landscape cannot speak to us on its own, but requires guides, interpreters, and facilitators to help visitors reflect, share their stories, and move toward a new, deeper understanding of a place. The good news is that a rapidly growing number of institutions, organizations, museums, and national parks want to preserve and interpret the difficult layers of their sites. The tough news: It’s not easy to go beyond the slogan and do it right. Included in various National Park Service theme studies, these sites help visitors reconcile with the places' painful pasts. A stone cairn that has been at Mountain Meadows since 1859 was rebuilt and dedicated in 1999. 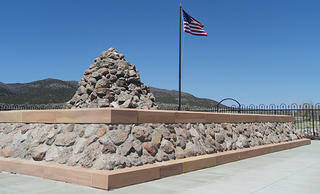 After long trying to deflect blame for the Mountain Meadows massacre, the Church of Jesus Christ of Latter-day Saints, under the leadership of Gordon B. Hinckley, paid for new memorials to be built at key sites of the massacre. But the 1999 event dedicating a new memorial there was marked by Hinckley stopping short of admitting the Church’s culpability. The 150th anniversary, in 2007, brought another Mormon elder, Henry B. Eyring, to the site to express “profound regret” for the massacre, acknowledging that “local Church leaders and members” were responsible. There is nothing particularly innovative in these memorials. No architecture magazine would review them. But in a way, that is their strength. They acknowledge loss, culpability, and the innocence of the victims. 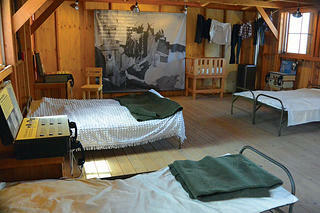 Exhibits in the reconstructed barracks show what living conditions at Manzanar were like. 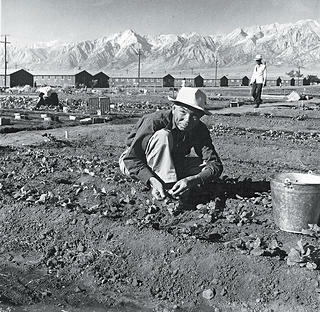 Japanese-Americans confined at Manzanar built gardens between the blocks of barracks at the camp. 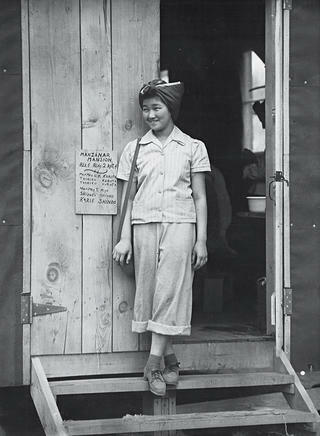 A woman interned at Manzanar stands in the doorway of her barracks apartment in 1942. 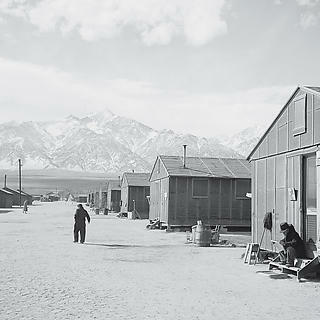 Manzanar National Historic Site was created not from the top, but from the bottom, by Japanese-Americans and other supporters of the site’s preservation, including many alumni of the camp and their children, who began to return for a yearly pilgrimage in 1969. That spirit animates the staffers today, who are dedicated to an approach that focuses on oral history and dialogue. Alisa Lynch, the site’s chief of interpretation and a 14-year Manzanar employee, has long focused on “humanizing the history” of the site, as she says. Under the banner of “10,000 lives, 10,000 stories” she and her colleagues have emphasized the story of life in the camp to tell the larger national story of racism toward Japanese-Americans. This past spring, the staff opened exhibitions in two reconstructed barracks buildings: one -re-created to show conditions when Manzanar first opened in 1942, and another that shows life there after -people settled in and created homes within the prison. -Accurate reproductions of cots and tables, however, pale in power to the words and actual voices of those who were confined at Manzanar, collected as part of an ongoing oral history project. The garden restorations line up with this philosophy. Archaeologist Jeff Burton estimates that there were more than 100 Japanese gardens at the 814-acre camp; he and volunteers have uncovered about 20. The largest one they’ve unearthed so far is named after the camp’s sympathetic director, Ralph Merritt. Work continues on some of them, with the hope that their dusty crevices will one day be filled with water again. There are other building projects in the works at Manzanar, including the reconstruction of a latrine and a fire station. A guard tower was rebuilt as part of a 1996 site management plan. For the most part, though, staffers are focused on preserving what remains at the site. They also are researching the experiences of Owens Valley residents who witnessed the repercussions of 10,000 people, largely portrayed as “enemies,” suddenly moving to the area. Superintendent Bernadette Johnson says that the story at Manzanar is about the “fragility of our rights.” At one time or another, “we may all be marginalized,” she says. The 80,000 people who visit Manzanar every year cannot leave without internalizing this uneasy lesson. But about 3 million more drive by on U.S. Route 395 and perhaps only glance at the mysterious guard tower and mile of barbed wire they are passing on the way to Lake Tahoe. 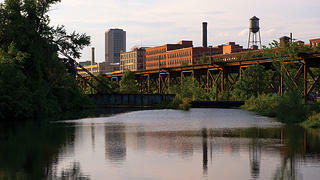 Shockoe Bottom might just be the best place in the nation to understand the history of slavery and its ongoing legacy. You look to the south and see the facades of Tobacco Row, neatly restored buildings rooted in the labor of enslaved workers. Tucked behind the medical school buildings of VCU to the north is the White House of the Confederacy, where Jefferson Davis lived. Across the highway is a series of skyscrapers, several of them the headquarters of banks where the original clients’ wealth was in large part produced by enslaved people. The commerce in human lives 150 years ago still shapes a city today. The Sacred Ground Historical Reclamation Project was born on December 10, 2004, just after the 204th anniversary of the execution in Shockoe Bottom of Gabriel, an enslaved man who launched an uprising inspired by the Haitian Revolution. The group’s goal is to fight a plan to build a Minor League Baseball stadium in Shockoe that would cover up much if not all of what a broad alliance of Civil Rights and preservation groups consider sacred ground. They defeated the proposal in 2005, but it seems to have nine lives, and the latest plan is still on the table. Ana Edwards and her allies have had a profound effect on the debate. They compelled VCU to give up the parking lot and got the city to agree to leave some of the Shockoe land untouched. They also raised public awareness of the site’s meaning in American -history and activated a diverse coalition of Richmonders to promote a better future for Shockoe Bottom. Tolstoy famously wrote at the opening of Anna Karenina, “All happy families are alike; each unhappy family is unhappy in its own way.” We might similarly say that all celebratory places are alike; every difficult place is difficult in its own way. They are first and foremost about the particulars of pain, the unique violence or discrimination inflicted by one group on another. They demand that we interact with historic sites, making interpretation and human dialogue central to the experience. They expose the myth that architecture is the only thing that matters in preservation. This is the challenge of sites with painful pasts. And it is also the gift they give us.